You don’t have to travel out of the country for some awe-inspiring time in nature. You don’t even have to travel out of state. All you really have to do is explore your own backyard. 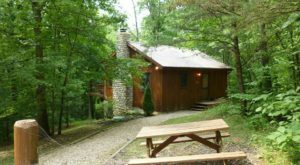 Ohio is filled with beautiful hiking trails just waiting for an adventurous soul to take advantage of them. 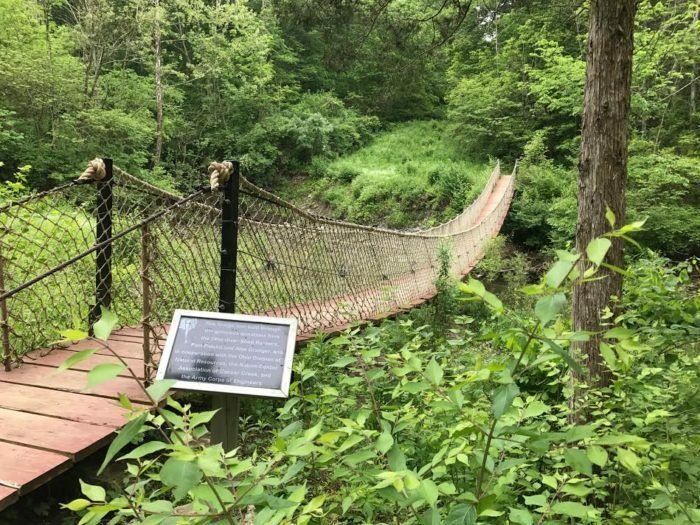 From rugged cliffs with sweeping views to waterfront trails that look straight out of a painting, the following are 10 of our all-time favorite hiking trails in Ohio—and probably the world. 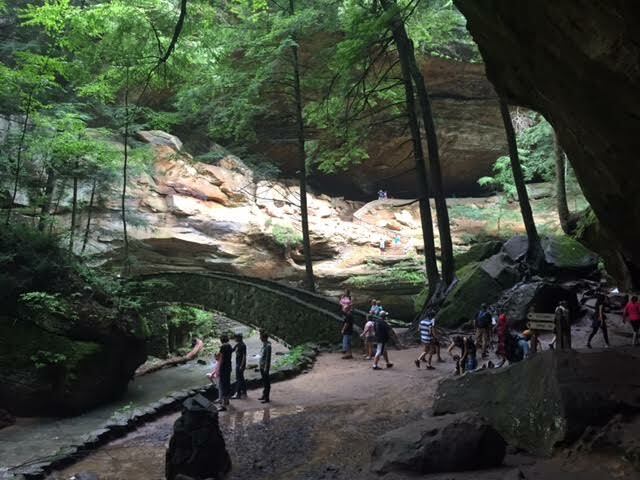 If you’ve yet to hike the Old Man’s Cave trail at Hocking Hills State Park in Logan, you’re truly missing out. 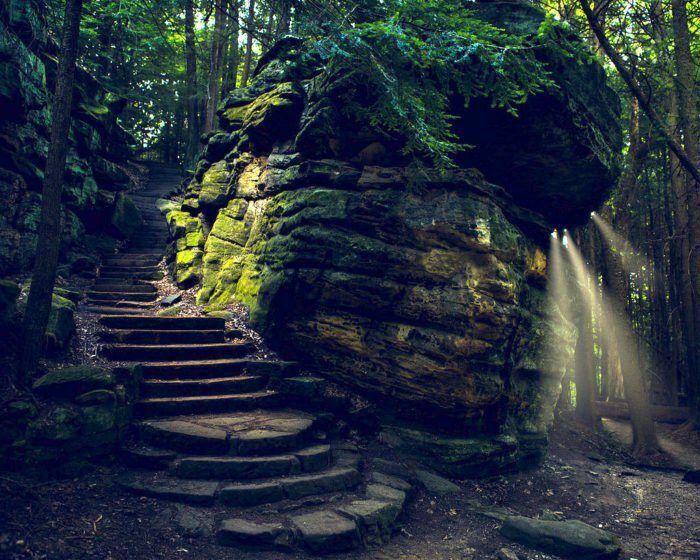 It’s arguably the most beautiful hiking trail in Ohio—and it will make you feel like you’re temporarily living in a Lord of the Rings film. 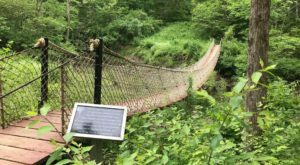 At approximately one mile in length, this gorgeous trail takes about an hour to complete, so it’s perfect for a day hike that you can take your time exploring. Some hiking trails can make you feel a million miles away from it all. 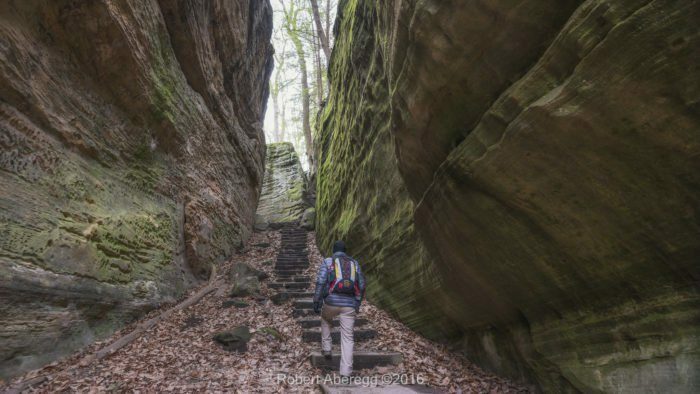 The Ledges Trail at Cuyahoga Valley National Park in Peninsula, Ohio is one of those enchanting trails — and it’s a must-do. More than 300 million years ago, this trail’s area of the park was actually covered by an ancient sea. Melting glaciers helped to form what are now captivating ledges you can hike through. It's a loop trail that's about two miles long. What do sand dunes, wildflowers, and evergreen trees have in common? Oak Openings Metro Park. 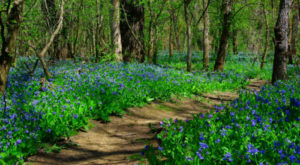 Close to Toledo you’ll find what’s considered to be Ohio’s rarest ecosystem (and one of the world’s rarest ecosystems) where rare plants and animals, oak forests, sand dunes, savannas, tall-grass prairies and swamp forests all thrive in harmony—and it will truly make you feel like you’re not in Ohio anymore. 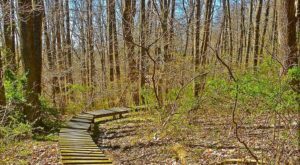 One of the state’s most underrated hikes is hiding in Caesar Creek State Park in Waynesville, Ohio. Part of a larger trail, the trek to Horseshoe Falls is an easy, eventful journey that’s perfect for a short day hike. 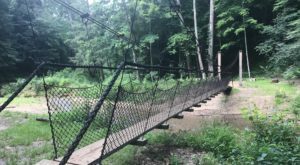 Along this 1.2-mile portion of the trail, you'll encounter gorgeous views, a swinging bridge and a waterfall. If you thought Ohio didn’t have canyons to explore, think again. 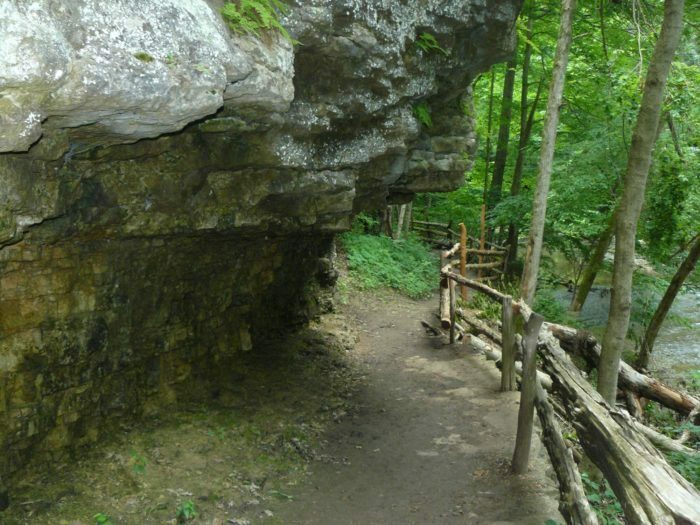 Cantwell Cliffs in Rockbridge, Ohio features a deep valley, steep cliffs and even a rock shelter that visitors can explore. Although the trail is only a one-mile loop, it isn’t for the faint of heart―but the scenery you’ll encounter along the way makes the journey more than worth while. 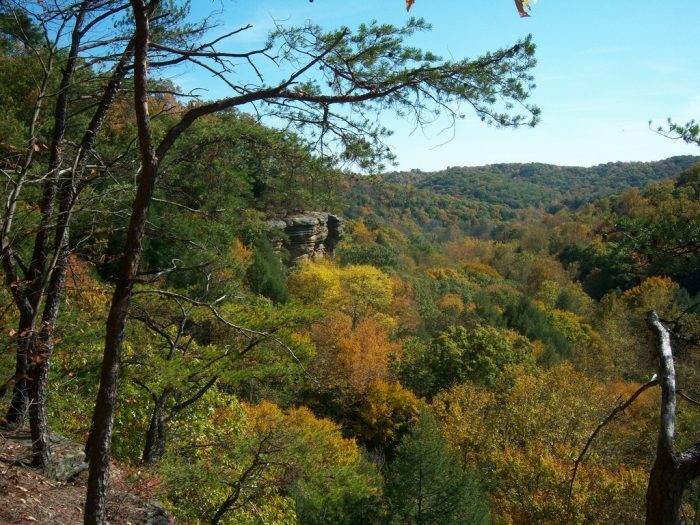 If you ever heard of a place called Hell Hollow Wilderness Area in Thompson, Ohio, you should know that it’s extremely beautiful—and downright heavenly in the fall. 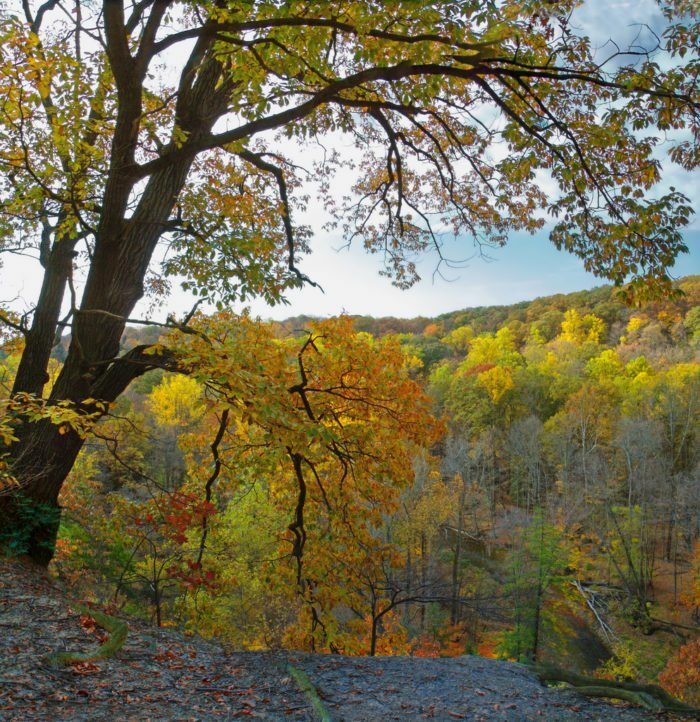 The once deep green ravine glows gold in the autumn months, and it’s an unbelievably gorgeous sight to behold. 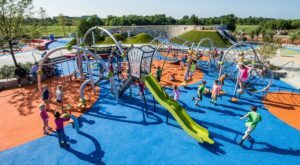 Explore rugged slopes, little-known waterfalls and a deep ravine at this underrated park in northeast Ohio. This rugged, rocky gorge is often considered one of the deepest in Ohio with 200-ft. cliffs, according to the state park's website. The Rim Trail is 2.5 miles long and takes approximately an hour and a half to complete, so plan accordingly.The trail itself is gorgeous, but it's a fairly strenuous hike that's ideal for the adventurous hiker. The scenery here is truly your reward and no matter the season, you'll be captivated by the beauty of it. 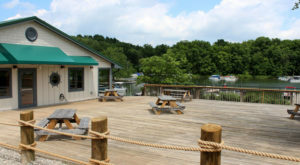 The Rowe Woods Edge Trail at the Cincinnati Nature Center is a must-hike trail, no matter the season. 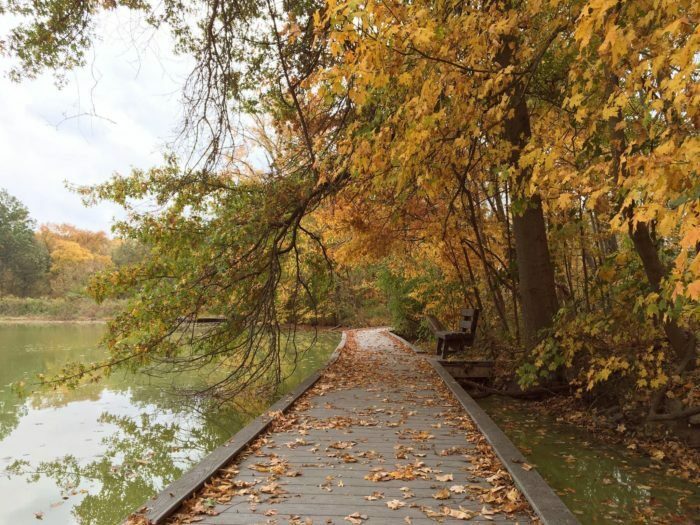 With just .66 miles to explore, this easy trail features gorgeous views of Powel Crosley Lake. 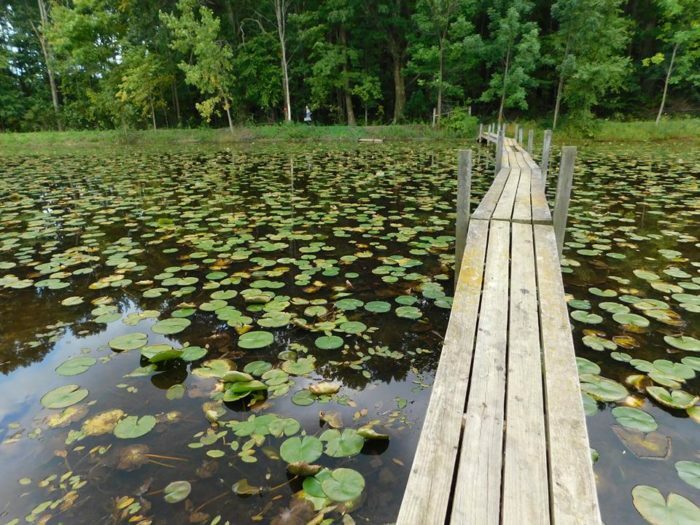 Unlike most waterfront trails, the Rowe Woods Edge Trail takes you right out onto the lake via boardwalk paths. Be sure to keep an eye out for wildlife along this trail, as you never know what friendly faces you'll stumble upon. 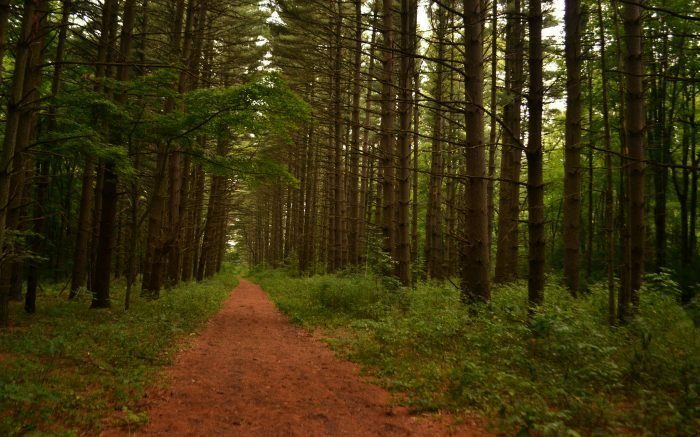 Have you hiked any of these beautiful trails before? 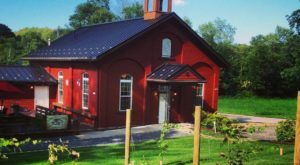 What is your all-time favorite trail to hike in Ohio? Share your thoughts and experiences with us!